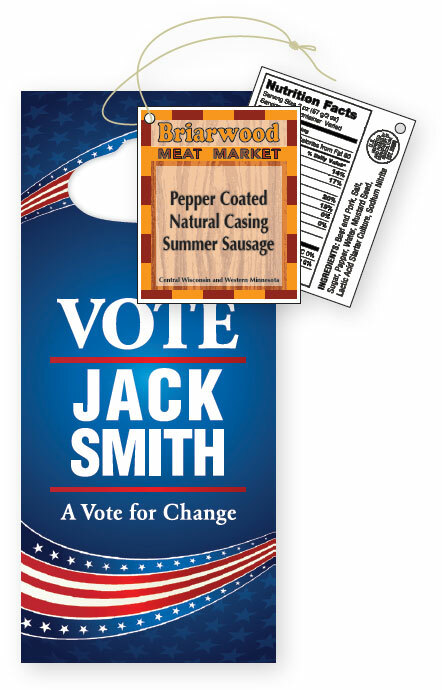 Door hangers build visibility while promoting a business, candidate or cause; add a special offer to generate sales. Shelf hangers demand attention on store shelves; also perfect for promoting discounts/special offers. Tags are important for identification in many applications: manufacturing, inventory, shipping, memberships, etc. Ask about reinforced holes, patches and other finishing options for more durable, easier-to-use products.